New types of Sulawesi frog shocked the world. When the frog usually reproduce by means of laying eggs, but these frogs breed with childbirth. The frog was discovered by the herpetology of Institut Teknologi Bandung (ITB), Djoko Iskandar Tjahjono, and his partner, Ben J Evans of McMaster University in Canada and Jimmy A McGuire of University of California, Berkeley. Being able to give birth to tadpoles, frogs recently included in the group of animals that ovovivipar breed. Different ovovivipar with oviparous (egg-laying) and viviparous (give birth). Ovovivipar means developing embryo in the egg remained inside the mother's body, but out of the parent body in a state already hatched. 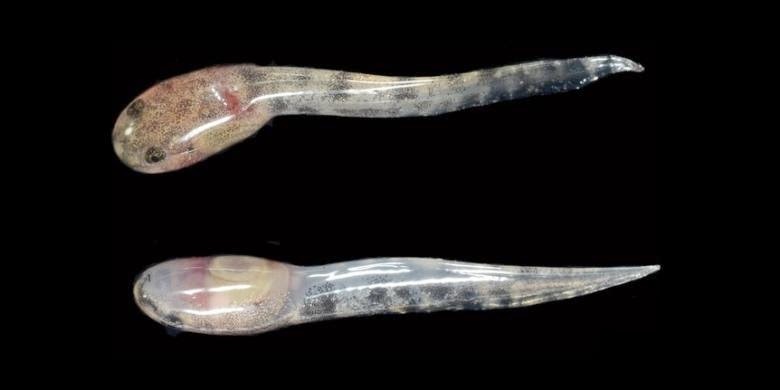 The new frog species is named Limnonectes larvaepartus, according to its nature, is able to give birth to larvae (larvae: larvae or tadpoles, parturition: giving birth). 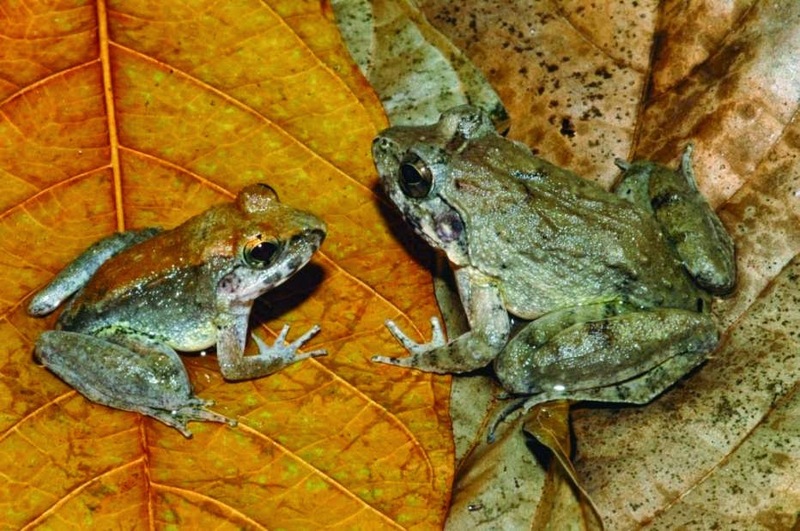 In the publication in the journal PLoS ONE on Wednesday, December 31, 2014, Djoko stated that this type has been encountered since he conducted a survey of the diversity of frogs in Sulawesi in 1996 ago. However, the identity of this frog as a new species could not be determined because there is no evidence of the behavior of childbirth.Behavior seen during childbirth then successfully Djoko and team conducted field studies in Sulawesi this year. One-time opportunity, Djoko bore witness frog in hand. On another occasion, Djoko and the team find their tadpoles live in parts of the reproductive system called the oviduct and in a plastic bag to collect frog team. Until now, the behavior of childbirth is still a mystery. How can frogs are usually external fertilization (no union between sperm and egg cells in the body) can give birth? Limnonectes larvaepartus referred to as the only type of frog were able to give birth tadpoles and one of the 12 species of frogs that have evolved internal fertilization. Previously, there were Rheobatrachus frogs known "incubating" their eggs in the stomach and then spit it out in the form of tadpoles. However, the group of frogs were already extinct in the 1980s. Meanwhile in Africa, there is a genus of Nectophrynoides and Nimbaphrynoides who can bear. However, both of them gave birth to young frogs, instead of tadpoles. Limnonectes larvaepartus, was found in the region of Central Sulawesi, expressed as endemic species. The distribution is not known with certainty because surveys frog diversity and population on the island is still minimal. The frogs usually live in the range of 2-10 meters distance from the waters. Physically, the frog is unique because it has a similar bulge fangs and gold color in the back area.